Oppo's latest Selfie-centric camera phone F1s will officially be released and available at their concept stores nationwide starting tomorrow, August 19, 2016. 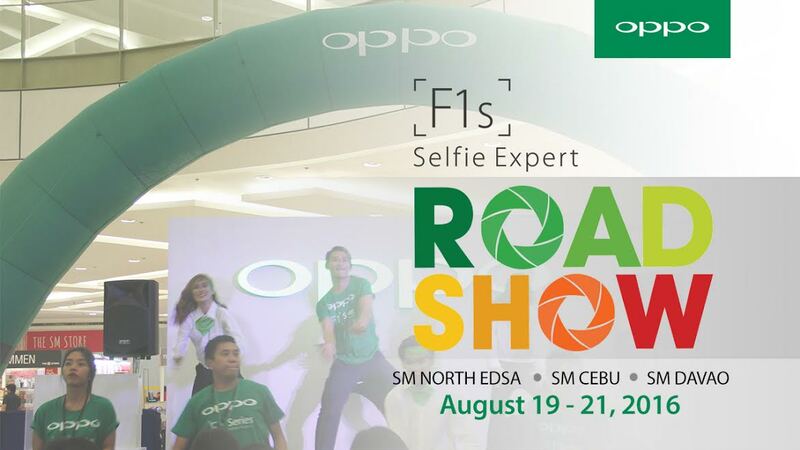 And to mark this arrival of this yet another"Selfie Expert" smartphone, Oppo Philippines will hold 3-day road show events in three different key cities in the Philippines - Manila, Cebu, and Davao. The roadshow will happen simultaneously at SM North EDSA, SM Cebu, and SM Davao, will kick off tomorrow and will run until Sunday, August 21. If you want to check out this latest phone in the flesh and see if the photo qualities are as good as advertised, save the date depending on which SM stores you will be catching this event at. "Introducing the latest seflie expert in a country nicknamed the world's selfie capital deserves an occasion where people from all over the country can celebrate the possibilities of capturing, storing, and sharing unforgettable moments," said Brand Marketing Manager Stephen Cheng. The Oppo F1s main selling point is the implementation of the 16MP front facing camera equipped with 1/3.1-inch sensor and a large f/2.0 aperture lens. This basically allows the front camera to capture great seflie photos regardless of time of the day, even in low light condition, thanks to its aperture. Additionally, this device is pre-loaded with the latest Beautify 4.0 that comes with Auto Mode screen Flash and eight filters to help users achieve their desired looks. Selfie Panorama feature is best used when taking photos with you and your friends or "groufies", palm-activated shutter will also help you capture that seflie moment easier and faster. What about the rear camera? The main camera on the back panel is pegged at 13 Megapixel with f/2.2 aperture. For memory, there is a 3GB of RAM alongside a 1.5GHz octa-core processor to provide the fastest and smoothest navigation experience. In addition to the 16MP camera, dominating most of the front panel is the big 5.5-inch HD IPS display and a single physical home button right below it that also houses the Fingerprint scanner. This Fingerprint scanner also works pretty fast based on the unboxing videos I have seen so far. I think the only turn off I can notice in this phone is the mobile OS, Android 5.1 Lollipop with Oppo's ColorOS 3.0. Why? Because most of the new devices being announced and released this time of the year are already running on Android Marshmallow and of course the next Android Nougat is going to come out in a couple of months now. If you wonder if the device supports USB OTG, yes it does. And keeping the lights on is a massive 3,075mAh battery pack. 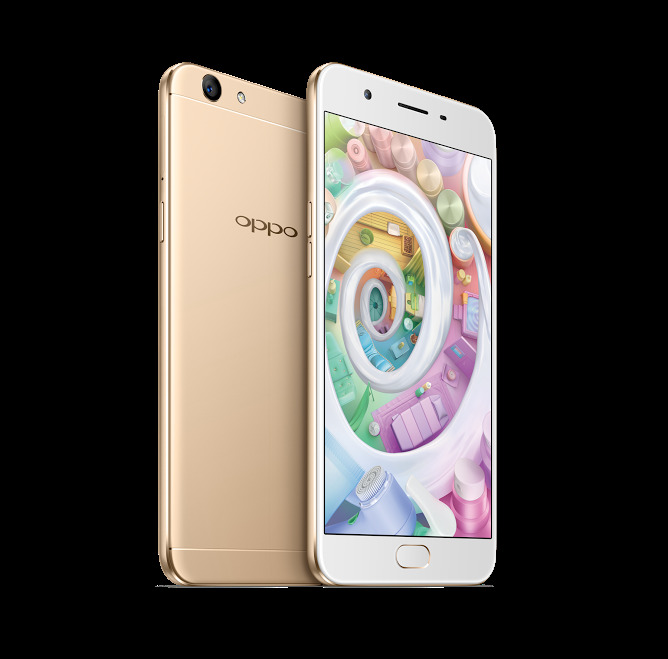 Again, the metal-clad Oppo F1s smartphone will be officially available tomorrow nationwide at all Oppo concept and authorized retail stores for just Php12,990.